Caverns of Time is located in Eastern Tanaris. 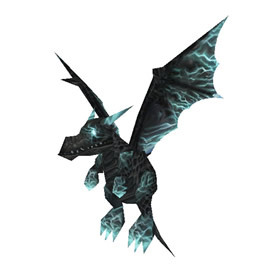 This pet can be found within the main cavern and the pathway leading to it. 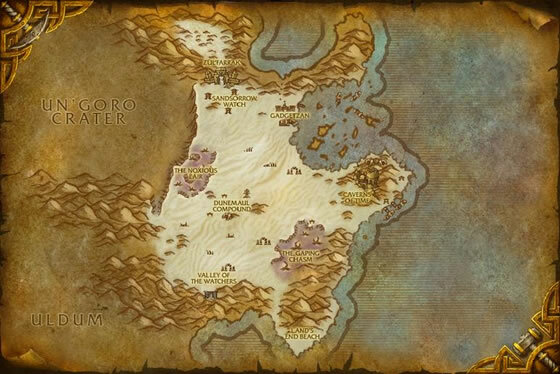 I would suggest using the Caverns of Time portal in Dalaran, doing a quick check of the area in front of the Caverns and then just checking back another day if there are no whelplings to be seen. Not an inconvenient hunt at all. (UPDATE) 1 hour after making this post about 30 of them spawned outside AND inside Caverns of Time, so if you're wondering they do spawn down below also and you can track the ones below from the surface! To avoid containing spoilers here, I won't leave a link to Wowhead, but just in case, the achievement is called "Infinitesimal". Does anyone know if these still spawn as of patch 7.1.5? Trying to find one for my sister and cannot seem to find one. Just to confirm that not only are they spawning outside the Caverns, but Rares can be found there as well. Took me 3 trips total, 3rd trip mid-morning found about 12 outside (several showed as grey on my map but didn't bother going into the caverns). Nabbed 3 of them (2 common P/P & P/S will stone later) and lucked into a blue P/P. Would be helpful for us newbs if someone would detail the nerf (of any) and if they are still indeed as good as described. Let the leveling now commence. Yes, I just found three outside the meeting stone to Caverns of Time. I can confirm they still spawn after Legion's release. Can't believe this...who would complain about this pet that they would go and nerf it? I always had it in my team now they put cooldowns on the sleeping spell. Useless pet now. Looked last night for the first time and saw nothing, just now saw 2 outside both rare! 14 and lvl 13. Pumped!! My favorite breed is the P/P. I typically run with Tail Sweep, Healing Flame, and Early Advantage. The Healing Flame tends to make up for the 1400 health with only a 3 round CD, especially if it is used after you have taken a big hit. Ealry Advantage, when done properly, will count as 361 (without modifiers) x 2 (seperate hits) which magic pets hate because of thier racial ability, and mechanical pets get torn to shreds because they take 50% more damage from this ability. Weakness, if faster is quite a nice ability. It is sad that it shares the same slot with a heal. It would have been allot nicer to have them both useable. Every single one I encountered was a poor or common so my pets killed them all. I'm wondering what is the respawn rate? I can confirm that as of today, the pet addons are still not displaying the breed correctly on this pet. I had been trying for weeks to get a P/P whelpling, but was only finding P/B breed. I finally came here and saw some of the other comments on it. So catch any that you see to check the breed! I caught a poor one today on Azuremyst realm, realm time 10:50 am. Just almost right at the entrance to Cavern of Time. I'm waiting for another one to appear... I'm a big collector and like to continue to get one until I get a rare. Forgot to ask, does anyone have a timer on when these spawn? Okay, I just caught a poor quality P/P whelpling on April 17th that was showing up as P/B according to PetTracker Breeds (latest version). I also caught a few other P/B and P/S ones which really were P/B and P/S. So, it looks like the P/P breeds aren't displaying correctly even on fully updated mods. If you see a P/B, catch it and check to make sure. Zhevra, be sure your battle pet ID/breed addon is up-to-date. I was having the exact same issue, and it turns out my addon wasn't playing well with the new update; it was listing P/Ps as P/Ses and P/Ses as S/Bs. 1: The double damage only occurs if the target still has more HP than you after the first hit from the ability. This means that if the first hit brings the target's HP down below yours, then the second hit will not occur. The ability isn't bugged. 2: The ability counts as two attacks when dealing double damage. It'll burn through shields fast. You better believe he knows what time it is.